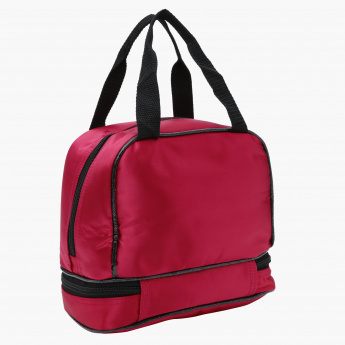 Keep food fresh for a long time by using this lovely lunch bag. 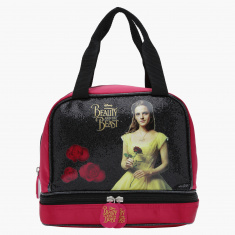 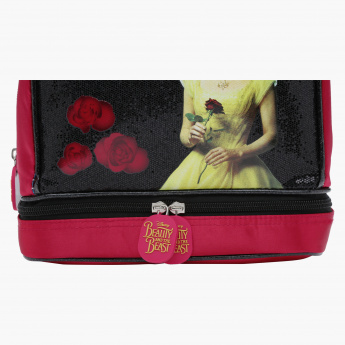 Sporting a Beauty and the Beast print on one side, this bag looks vibrant and has two handles making it easy to carry. 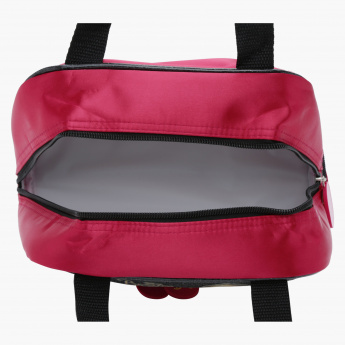 The zip closure is designed to secure all tiffins in one place easily.